Everything that you say about “Ugly Duckling’s Love Revolution” makes it sound like toxic waste. It’s one thing for a story to merely be bad, it’s another thing for a story to be bad and harmful. I too would love to read a comic about a fat person who lives life as a fat person, whether they stick their tongue out at “thin society”, are struggling with their self-image, or doing both at the same time. Particularly if it’s told by a comic book artist who is or has been fat … as someone who has never been fat, even if I do lots of research, I don’t think I could ever tell such a story as well as someone who has lived the experience. 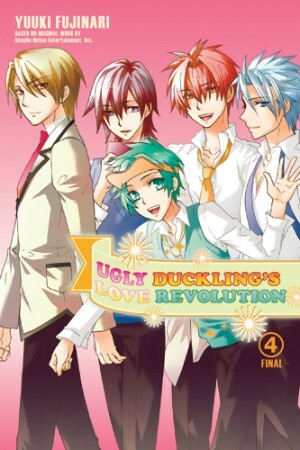 Of course, I might enjoy a parody the ideas perpetuated by “Ugly Duckling’s Love Revolution” too. And I also think your comment about misrepresenting passion vs. misrepresenting pain is brilliant. Reading a misrepresentation of one’s passion can be entertainingly hilarious – misrepresenting one’s pain, not so. Thanks for your comments, Sara! And yeah, I think UDLR is pretty much toxic waste, made more so by the fact that it’s one of the few comics (and actually, stories in general) I’ve ever read with an overweight heroine. 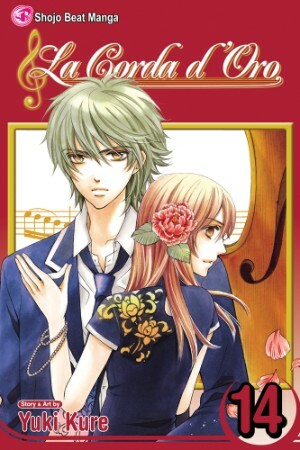 If you only recently found out about the manga releases, that means you have seventeen volumes to catch up on! I kind of envy you! :) There are 31 total volumes in the series, and VIZ seems pretty committed to a bimonthly release schedule, so it should be running for another 2.5 years or so. As for The Stellar Six, I wish I could be hopeful about its chances. 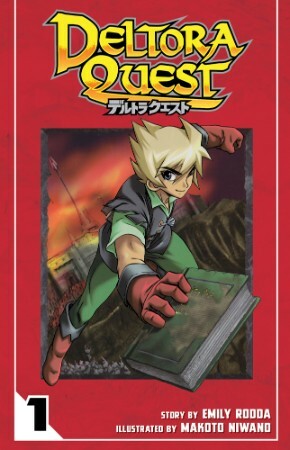 Ideally, it would appear on JManga, but I can’t let myself believe that’ll actually happen. 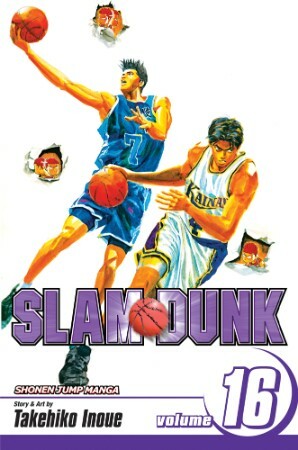 This is one of the funniest dialogues you’ve written yet ^^ – also the 101 Slam Dunk episodes are time well spent watching (although even at 101 they don’t cover the full manga, as far as I know). I should point out that I mean the interplay, not the well-written argument against reading Ugly Duckling’s Revolution. I’m not 100 percent sure because it has been ages since I read the manga… maybe they both do end at the same place (but if they do we won’t find out what happened at the nationals, because the anime stopped before that). It’s still deeply satisfying (as long as you don’t expect this to turn into a romance sports shonen). That sounds like the Prince of Tennis anime. I sincerely hope the manga depicts the end of nationals! It would be pretty weird if it didn’t. Well you never shall get those totally unrealistic moves that they do in Prince of Tennis. The players get better and better, but Inoue has too much respect for the game to screw it over like that. It never entered my mind that Inoue would do such a thing, but I’m certainly relieved to know I’ll never have to watch the Shohoku boys sparkling.